Sheer fabric with damask embroidery layered over pink. Sham made of silk, polyester, cotton, and nylon. 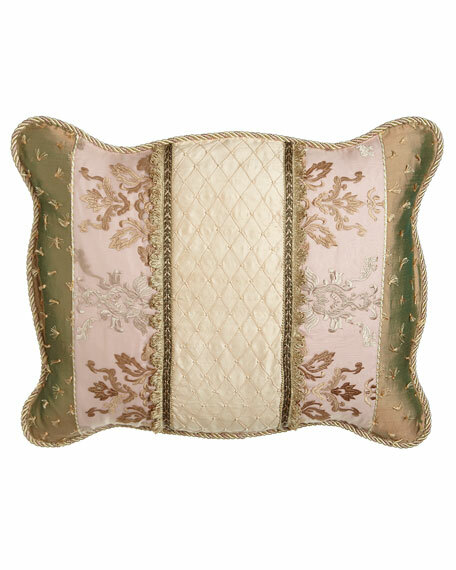 Beaded silk, pink silk, and damask with cord finish are among the fabrics and trims that add to the opulence.